If crime levels are down, why are detection rates down, too? THERE was some scepticism when new figures out last week showed that crime is down. Some accused police of cooking the books and others claimed victims had given up reporting burglaries, fearing they’d never be investigated. Now add this into the mix. Even with fewer offences to investigate, police are solving even fewer crimes. New figures show that detection rates fell for the first time in over a decade last year – with 30,000 fewer crimes solved. 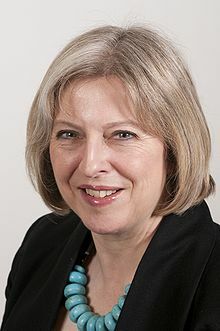 Just one in four offences committed in England and Wales was cleared up in the year to April 2012. It means 2.9 million crimes went unpunished – despite new stats which show law-breaking is DOWN. Cops say slump in arrests is down to swingeing cuts in their budgets imposed by the government. About 9,000 police jobs have been axed under money saving measures since the coalition won power – and there’s more to come. North Wales police, who cut the force strength last year by 39 to 1,488, now solve just three in ten case, compared with four in ten before the cuts. In Warwickshire, where 260 officers were lost, an extra 2,063 crimes went unsolved. Home Secretary Theresa May (pictured left) has insisted police forces can cut costs without affecting frontline crime-fighting. She has told chief constables to make “back office” saving, which would mean MORE bobbies visible on the streets. A Sun investigation last month suggested officers are still spending too much time behind a desk. There’s something odd about all these figures. If there’s less crime, you’d think police had more time to investigate those that do occur. If it’s down to cuts, you’d expect crime levels to go up. Official figures out last week showed overall crime plunged eight per cent in England and Wales. They led to accusations that senior cops were exaggerating the statistics. Simon Payne, chairman of Warwickshire Police Federation, said: “We want to go out there, preventing crime and catching criminals. Labour claimed the figures would fuel concerns about the government’s “deeply complacent” attitude to policing. Shadow Home Secretary Yvette Cooper, who analysed the stats, said: “Fewer crimes are being solved, fewer criminals caught and fewer victims are getting justice. “Theresa May has cut 15,000 police officers and done nothing to help improve the performance of the police in catching criminals and solving crime. “The reduction in violence against the person offences being solved is particularly worrying. “These are serious crimes that can ruin people’s lives and harm communities, yet 7,000 fewer are being solved under this Government. A Home Office spokesman said: “Police reform is working and crime is falling under this Government, down eight per cent in the year ending September 2012, according to the latest independent Crime Survey. “Many forces are achieving significant reductions in crime with reduced budgets and crime is at its lowest level since the survey began in 1981. “When the last government prioritised detection rates and set targets for offences brought to justice, it simply distorted police priorities which is why these targets were scrapped. By cutting bureaucracy we’ve allowed forces to get officers back out on the front line.